"The Chocolate Touch" By Patrick Skene Catling Only $3.66! You are here: Home / Great Deals / Amazon Deals / “The Chocolate Touch” By Patrick Skene Catling Only $3.66! “The Chocolate Touch” By Patrick Skene Catling Only $3.66! I love seeing kids read! It gives them access to a world of imagination that will be so wonderful for them, for years to come! “The Chocolate Touch” By Patrick Skene Catling is Only $3.66! 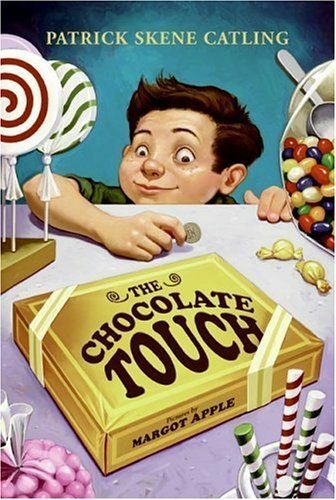 In a laugh-out-loud hilarious twist on the legend of King Midas, a boy acquires a magical gift that turns everything his lips touch into chocolate. Can you ever have too much of your favorite food? John Midas is about to find out…. !